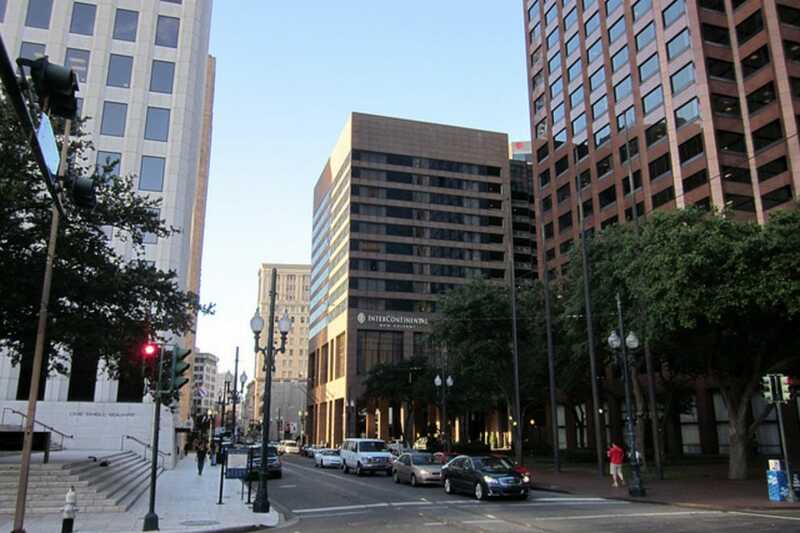 The Central Business District (CBD) is considered the downtown area of New Orleans. The district is complete with skyscrapers, clubs, restaurants and the famed Mercedes-Benz Superdome, the home of the Saints and Superbowl XLVII. It is also where a good amount of the city's hotels are located. The Superdome is located in the CBD and is where "Who Dat" nation (the fans of the New Orleans Saints football team) go to cheer on their squad. Tulane University football plays here for the time being, and the stadium hosts a number of nationally touring musical acts. The green building next door is "The Hive" (New Orleans Arena), where the New Orleans Hornets play basketball. Mother's, one of the finest places in town to grab authentic New Orleans food, is located in the CBD. Come early to beat the lines and enjoy one of their famous po' boys or gumbo bowls. For something a bit classier (finer dining), try Restaurant August run by local icon Chef John Besh. If Madonna doesn't happen to be at the Superdome during the time of your trip, the CBD offers visitors other options for dancing the night away. Ampersand is one of the top clubs in New Orleans, and regularly draws nationally revered DJs to play music at their establishment. You will not find another two story dance club complete with swimming pool anywhere else in the city. The CBD is the best place to stay for your trip if you want to be in close proximity to everything. Staying here allows you easy access to all the street cars, the French Quarter and the major arenas. The JW Marriott is one of the crown jewels of the city as far as hotels go, so their rates need to be checked when planning your stay. The Shops at Canal Place is a multi-story collection of conventional shops with broad appeal, including some higher end type of places. Francesca's, J. Crew, Anthropologie, Michael Kors and Brooks Brothers are some of the big names that highlight the roster of stores. If you have kids in tow, the location has a movie theater on-site to help quell any boredom.